GOALKEEPER, Edmore Sibanda is battling an ankle injury. Sibanda, who was called for national duty last week, might be out for a while following an ankle injury that he suffered over the weekend. 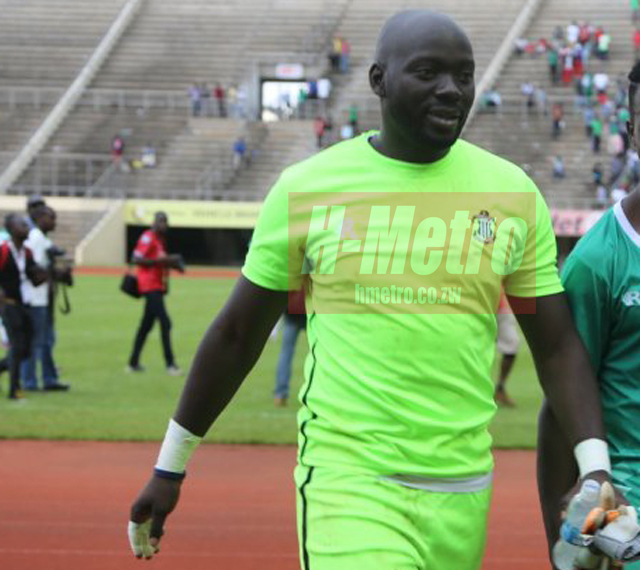 He was between the sticks when Zimbabwe played a goalless draw against Zambia in an international friendly under Norman Mapeza in March this year. The CAPS United goalminder was in Lloyd Chitembwe’s squad to play Triangle over the weekend but could not stand the pain forcing Makepekepe to make last minute changes. Sibanda was in action in their 2-1 win against USM Alger OF Algeria in the CAF champions’ League group matches and Sibanda faces a bleak future for now as the Zimbabwe champions prepares to face Al Ali Tripoli this Friday. Sibanda said: “The match against USM Alger was perfect. I didn’t have any injury. I trained on Thursday and Friday in preparation of our weekend game. “All was well until the day of travel on Saturday morning when I felt pain on my ankle. CAPS United drew 1-1 against Triangle on Sunday and Chitembwe attributed the draw to injuries in his camp. Fullback, Dennis Dauda twisted his knee last week when they played USM Alger whilst Devon Chafa pulled a muscle. Tafadzwa Rusike’s nagging knee injury has also been haunting him since last week in which he was named in the CAF team of the week. CAPS United skipper Hardlife Zvirekwi faces a lengthy absence after he aggravated a hamstring injury in their 2-1 win against USM Algers at the National Sports Stadium. Zvirekwi was ruled out for three weeks after sustaining the injury in their 2-0 loss against Zamalek in the Africa Champions League. However, his early return on Wednesday proved costly when he had to be pulled off to be replaced by Kudzai Nyamupfukudza. Defender, Valentine Musarurwa missed their last game against USM Alger because of a hamstring injury whilst Leonard Tsipa is struggling for fitness.